Career Path Services has been providing employment and training services since 1971. Scroll through our timeline to learn more about how we've grown over the years! 1971 - In the city of Spokane, Washington, there was a small job training program affiliated with the American Indian Community Center. This program served disadvantaged individuals with funds provided by the 1962 Manpower Development and Training Act, which President John F. Kennedy signed into law on March 15, 1962. Agency opens with 15 employees, funded by the Manpower Development and Training Act. 1973 - President Jimmy Carter created the Comprehensive Employment and Training Act (CETA) to train workers and provide them with jobs in public service, and CETA Participant Services was born. 1974 - Agency receives its first funding award under the Comprehensive Employment and Training Act (CETA). 1982 - President Ronald Regan signed The Job Training Partnership Act, creating a more comprehensive job training program with increased responsibility delegated to states and localities. PIC’s (Private Industry Councils) allocated funds at the local level. To apply for JTPA funds required a change from an unincorporated entity to something more formal. The agency known as CETA Participant Services (CPS Employment and Training) incorporates as Career Path Services, a 501(c)(3) non-profit corporation in the State of Washington. 1983 - Career Path Services receives its first funding award under The Job Training Partnership Act (JTPA). 1986 - Career Path Services receives its first contract from the Department of Social and Health Services (DSHS) to provide basic education services to welfare recipients. 1988 - The Spokane office opens an Education Center, funded through the Office of the Superintendent of Public Instruction, to provide basic education, GED and high school re-entry services. Spokane County awards us our first contract to provide employment services to persons with developmental disabilities. 1989 - The Colville office opens with 3 employees serving 16 people in supported employment and 7 senior citizens with developmental disabilities. Career Path Services receives certification as a vocational rehabilitation facility by DVR. All Career Path Services locations have at least one computer! 1992 - Omak office opens with 3 employees serving 12 supported employment customers. 1993 - Career Path Services creates its first computer network.The Washington State Department of Vocational Rehabilitation contracts with vendors across the state to provide vocational rehabilitation services. 1995 - Career Path Services' staff totals 37 - 19 in Spokane and 18 in the branch offices. We get our first voicemail system. Spokane Housing Authority (SHA) awards Career Path Services a contract to fund the Independent Family Futures program. Job developer Kikie Kramer becomes the agency's first retiree after 15 years with the agency. She has been on Career Path Services' Board of Directors ever since. 1997 - The National Association of Counties (NACo) awards Career Path Services' JTPA IIA Adult Program its National Award for Excellence. Career Path Services launches its first website. KREM-2 News begins broadcasting daily job listings in partnership with Career Path Services. 1998 - Career Path Services receives award from Washington State Community, Trade and Economic Development to provide Community Jobs in Spokane, Colville and Omak. 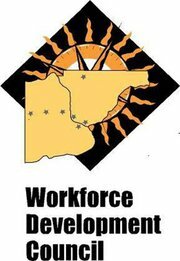 The Spokane Area Workforce Development Council awards Career Path Services $481,000 in Welfare to Work funding. The Spokane Regional Chamber of Commerce nominates Career Path Services as a finalist for the AGORA award for business excellence. 1999 - WorkForce Investment Act (WIA) signed by President Bill Clinton replaces JTPA as the country’s major workforce development legislation. Career Path Services becomes certified as a WorkSource Affiliate Site. Spokane office moves to the 3rd floor of the Broadview Dairy Building at 905 N. Washington, occupying more than 10,000 square feet of office space. 2000 - Career Path Services receives Workforce Investment Act funding from the Spokane Area Workforce Development Council to serve youth, adults and dislocated workers. 2001 - Career Path Services celebrates its 30th anniversary. Total number of staff grows to 57. Spokane office expands to both the 3rd and 2nd floors of the Dairy. Novell, Inc. donates $22,000 worth of Net services software to Career Path Services, increasing staff productivity and customer access to internet resources. Women Helping Women (WHW) donates $12,000 to Career Path Services' Education Center to purchase Brainchild personal learning systems and software. 2002 - The Department of Transportation awards a 14-passenger mini-bus to Career Path Services to provide transportation to community access customers in Okanogan County. Overall agency funding exceeds $5 million. 2003 - Career Path Services expands to a fourth location when selected by the Benton-Franklin Workforce Development Council to provide Workforce Investment Act services to out of school youth at WorkSource Columbia Basin in Kennewick. The agency becomes one of the first employment networks in the Spokane area for the Ticket to Work program. 2004 - Career Path Services is awarded the contract to provide guest services, Workforce Investment Act in school youth services and a dropout prevention project at WorkSource Columbia Basin by the Benton-Franklin Workforce Development Council. Career Path Services receives the most Workforce Investment Act funding of any vendor in Spokane County from the Spokane Area Workforce Development Council. Women Helping Women (WHW) awards Career Path Services $10,000 to provide high school re-entry services to young parents and pregnant teens in Spokane. The Spokane Regional Chamber of Commerce nominates Career Path Services as a semi-finalist for the AGORA award for business excellence. Total number of employees reaches 70. 2005 - Our Colville office receives a mini-van from the Department of Transportation to provide transportation to customers in Stevens County. We open our fifth office - a Spokane Valley classroom - to provide education and employment services to youth and low-income adults in the valley. The first ever Omak Summer Success Academy and Tri-Cities Summer Teen Challenge reach out to our communities youth. 2006 - Women Helping Women (WHW) awards Career Path Services $20,000 to provide high school re-entry services to young parents and pregnant teens in Spokane. The Discuren Foundation awards us $70,000 to provide summer learning and leadership opportunities to youth as part of a community partnership project. Year two of the Omak Summer Success Academy and the Tri-Cities Summer Teen Challenge are even more successful than the first. Career Path Services receives a coveted three year accreditation from CARF to certify us to provide Vocational Rehabilitation services through DVR. Our Omak staff move into a spacious new office space.Revenue exceeds $6 million! 2007 - George Iranon assumes leadership when founder and long time CEO, Bill Marchioro, retires. Spokane Community Jobs staff are co-located in DSHS offices to facilitate improved access for participants and coordination of services. We are the successful bidder for a contract with CTED to provide services to residents of South King County. Three staff are originally hired, expanded to 7 by the end of the year – all co-located in DSHS offices in Kent, Auburn, White Center and Federal Way. Our Omak office expands services to include the Confederated Tribes of the Colville Reservation, providing employment readiness to tribal TANF recipients. Our Spokane office is awarded Jobs by June, a project working to place high school students with disabilities into jobs upon graduation. 2008 - Career Path Services is nominated for a Greater Spokane Incorporated Agora award, for excellence in the marketplace. Washington CEO magazine ranked Career Path Services the 7th best nonprofit to work for in the state of Washington, and 36 out of 100 in overall scoring. Career Path Services is selected as a winner of the 2008 Alfred P. Sloan Award for Business Excellence in Workplace Flexibility, one of three honorees in the greater Spokane area. More employees are co-located within other agencies than in offices of Career Path Services. Spokane WorkSource Center is awarded the One Stop of the year for both the State of Washington and the USA. The Next Gen Zone, providing youth services in the Spokane WorkSource Center, is honored with the Asset Builder award by the Spokane Chase Youth Commission. 2009 - ARRA (American Recovery and Reinvestment Act) funds significant programs serving young adults in Spokane and Benton-Franklin Counties. 22 staff members are hired at once to provide services to 700 youth over the next 6 months. Total agency budget approaches $10 million, total staff near 100. 2010 - Career Path Services receives the Adult and Dislocated Worker Contract awarded in Benton Franklin office. We hire 5 additional staff members. Community Jobs (CJ) program grows! Director of Transitional Jobs to oversee CJ in Eastern WA and South King County position is created. 2011 - Career Path Services celebrates it's 40th Anniversary as a non-profit organization! The organization received the 2011 Alfred P. Sloan award for Business Excellence in Workplace Flexibility. Career Path Services also won 2nd place in the non-profit category at Seattle Business’ 100 Best Companies to Work For 2011 awards dinner June 16, 2011, held at The Westin, Seattle. We also added our Pierce County and Wenatchee offices this year! 2012 - Career Path Services receives honorable mention for the Sloan Award and is ranked #2 in Seattle Business Magazine's Top 100 non profit companies to work for in Washington State. 2013 - Career Path Services is the Sloan Award Winner, ranked the #1 non profit business to work for in Washington State by Seattle Business Magazine, and is ranked as one of the top 50 non-profits to work for in the United States by the Non Profit Times. 2014 - Career Path Services and Pierce County Community Connections (PCCC) Career Programs are awarded funding to launch a two-year pilot project to connect families experiencing homelessness to employment opportunities. The Launch into Employment Assistance Program (LEAP) is funded through Building Changes to provide employment placement assistance, job training, and job retention services to families in the Pierce County area beginning February 1, 2014. 2016 - In our 45th year of operation, we saw great changes take place within the organization. In July, we began operations to serve customers in Pierce, Grays Harbor, Thurston, Mason, Pacific, and Lewis counties made possible by Workforce Central and the Pacific Mountain Workforce Development Council, with funding provided by the Workforce Innovation and Opportunity Act. In April, we discontinued our Vocational Rehabilitation services after careful consideration and our continued love of serving persons with disabilities. Through all of that, we managed to be one of the 50 Best NonProfits to Work For in the United States, and also received the When Work Works award for our workplace flexibility. 2018 - Career Path Services' Mission Statement is revised to "Career Path Services is a workforce development and human services nonprofit corporation." The change reflects our services to communities as well as individuals, the possibility of doing business in additional states, and to make room for services not directly related to workforce development, such as providing housing, operating a community action council, and more.